Here's a traffic jam that will actually make drivers smile. 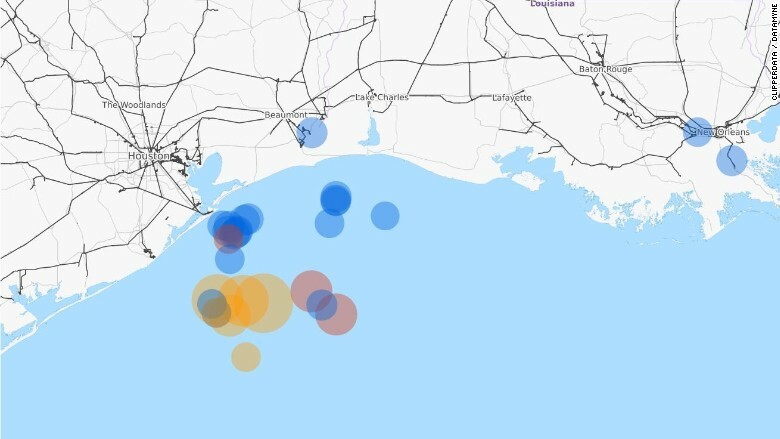 Cargo tracking data from ClipperData/Datamyne show how oil tanker traffic is piling up off the U.S. Gulf Coast. Blue dots indicate Aframax ships that can contain 750,000 barrels of oil, while pink dots are for Suezmax tankers with 1 million barrels. Yellow dots are for VLCC tankers, which can carry 2 million barrels. Related: $2 gas coming soon for most of the U.S.
That, of course, is great news for American drivers. 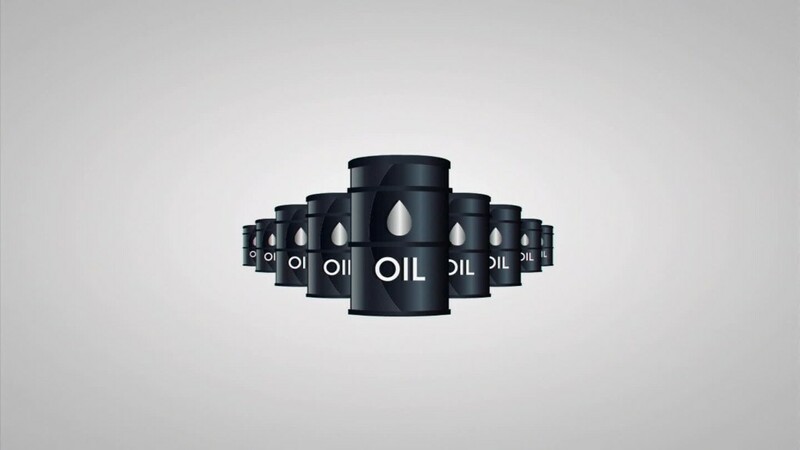 National average gasoline prices have dropped to $2.10 a gallon, down by 75 cents from a year ago, according to AAA. U.S. prices could slip below $2 by Christmas nationwide for the first time since 2009, AAA said.